Written and illustrated by Gus Gordon. Age Range: early childhood – adult lovers of illustration. Themes: sharing, friendship, friends, bugs, nature. One fine summer’s day two bugs discover the most beautiful peach of the season and are faced with a dilemma…who gets to eat it? Click on title links or cover images to purchase. 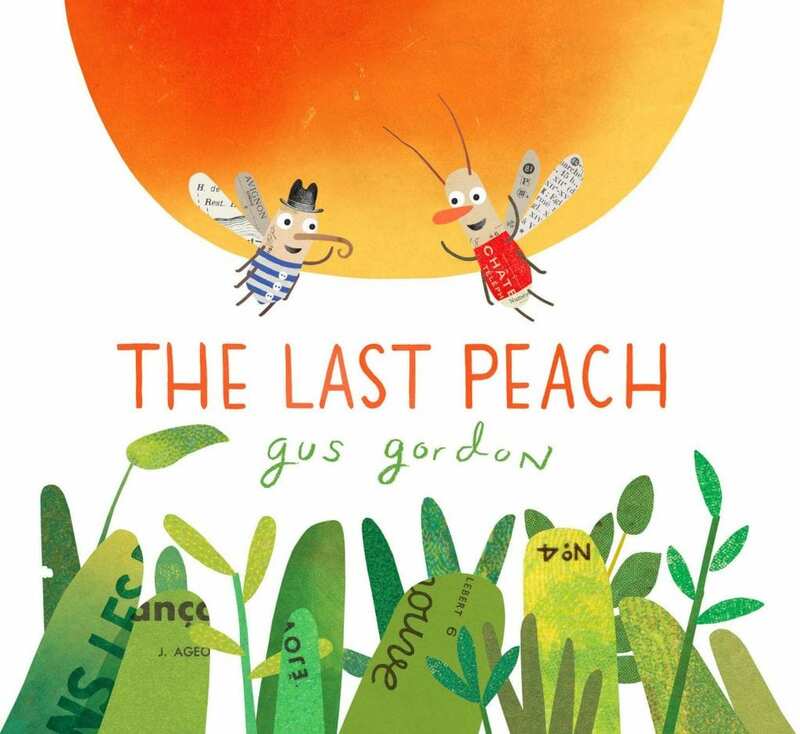 Award winning author/illustrator Gus Gordon does not put a foot (or peach, twig or leaf) wrong with his latest picture book offering, ‘The Last Peach‘. Each time I discover (usually through his lovely Instagram account) that a new Gus Gordon book is the pipeline I feel slightly ill wondering if he will be able to equal the last. I actually never thought he would top ‘Herman and Rosie’ – which remains one of my all-time favourite picture books, but then there was ‘Somewhere Else’ which made me all teary (in a good way) and there is simply no resisting ‘Wendy’, who is very possibly my favourite picture book chook….and there are many chooks in picture books. ‘The Last Peach’ sits alongside all previous Gus Gordon picture books as an equal, and thank glory for that. From the gorgeous endpapers full of peaches, which Gus tells me were all painted by US artists from the late 1800s to early 1900s, to the clever little details woven throughout (can you find a ‘P’ on every page? ), this is a sophisticated text which will intrigue and delight readers of all ages. Written entirely in dialogue, two little bugs discuss, argue and philosophise over who should eat the last peach of the season…and if in fact the last peach of the season should be eaten at all. The twist at the end of the tale is very, very clever indeed. There is a playfulness to the text that lends itself beautifully to being read aloud with enthusiasm and discussed endlessly over multiple re-readings. As in all his picture books, Gus Gordon encourages young readers to rise to the challenge of a multi-layered text and a fabulous interplay between words and images. The illustrations in ‘The Last Peach’ are sublime works of art which one could pour over for hours looking for all the intricate details, visual jokes and messages embedded. ChickPea (6) has had ‘The Last Peach’ by her bed for some weeks now and she continues to stomp downstairs late at night with the book to show me something else she has found, or I’ll hear her heartily chuckling over the text from her bedroom. It has definitely made her ‘favourites’ shelf and she is a harsh critic, regularly closing books on me halfway through bedtime reading in either disgust or disappointment. 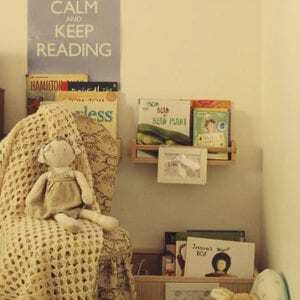 The mark of a perfect picture book is when that picture book can be revisited time and time again by adults and children alike and more can be found each time; more to chuckle over, more to ponder; more to inspire. Thank you Gus for ‘The Last Peach’ – you’ve made it to my favourites shelf this year too. Enter code CBD on any Oh My Giddy Aunt purchase to receive a free silver charm.